Contact: 43, Emina, Off Allen Avenue Ikeja. Contact: 75, Adeniran Ogunsanya Street, SuruLere, Lagos. Contact: Suite 37, Prime Shopping Complex, Muri Okunola Street, Victoria Island, Lagos. Contact: Suite J123, Ikota Shopping Complex, VGC Ajah, Lagos. Contact: 36, Kujore Street, Ojota, Lagos. Contact: 1b, Close G, Hillview Estate, Ogudu GRA, Ojota, Lagos. Contact: 40b, Awori Lane, Dolphin Estate, Lagos. Fawole lane by 272 Ikorodu Road, Obanikoro, Lagos. Contact: 27 Adeniji Street, Ogba GRA, Off WEMCO Road, Ogba, P.O. Box 13147, Ikeja, Lagos. Contact: Suite LC7, Entrance 1,3rd Floor,West Pavilion,TBS, P.O Box 71294 Lagos. Contact: Oshoppey Plaza, Rear Wing, 4th Floor, Allen Avenue, Lagos. Contact: 12, Taiwo Street, Off Custom B/Stop, Abaranje Road, Ikotun, Lagos. Contact: No. 14 Abomimi Crescent Indep. Layout, Enugu. Contact: 3, Isheri Road, Opposite Zenith Bank, Aguda, Ogba, Lagos. Contact: 114, Victoria Street Ojota Lagos. Contact: 2a, Olukole Street, by Olufemi, off Ogunlana Drive, Surulere, Lagos. Contact: Block B5, 5th avenue Gwarimpa Estate, P.O Box 10634, Garki, Abuja. Contact: 22 Jebba Street, Ebute-Metta (East) Lagos. Contact: 21, Adebola Ojomu Street, Surulere, Lagos, Nigera. Contact: Plot 3b, Block A10, Admiralty way, lekki phase 1, Lagos. 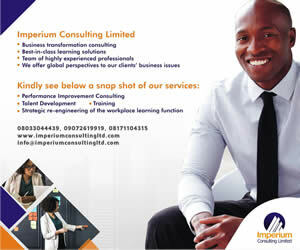 Contact: 98a Oyo Road, Samonda, U.I Ibadan,Ibadan, Oyo State.